Here's a great deal that we haven't seen since 2016! 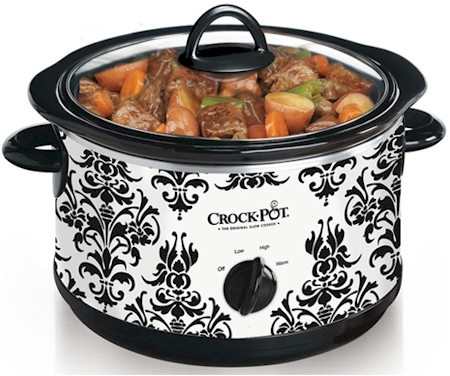 This pretty black & white damask pattern 4-1/2 quart Crock Pot has dropped back down to $17.49 with free Prime shipping; this is a terrific price on a beautiful item. This is the kind of kitchen appliance that you won't want to hide in your cabinet. This got 4.4 out of 5 stars over 1,003 customer reviews.